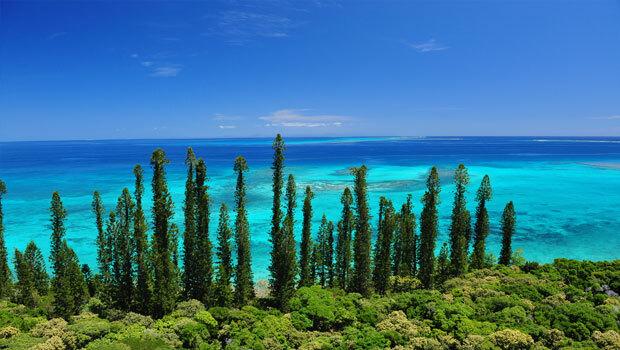 Unfairly overshadowed by New Zealand and Australia, New Caledonia is one of the hidden gems of our planet. This remote archipelago is located in the Coral Sea, northeast of Sydney and northwest of Auckland. If you want to retreat from the rest of the world and get off the beaten track, then New Caledonia is just the place for you. Its sandy beaches, blue horizons and diverse natural life will leave you speechless and with an out-of-this-world experience. Once you visit New Caledonia, you’ll be wondering how on Earth you could live without knowing about its splendours. The very name Isle of Pines has a magical allure, so you can only imagine what awaits you on this idyllic island. Just picture majestic towering pine trees, crystal clear waters and sandy beaches – it’s one of those dreamy islands you see on postcards. Whether you want to soak in breathtaking views in a relaxed ambience, or you want to admire the island’s wildlife, you’ll feel as if you were dreaming. 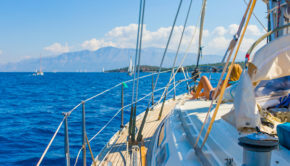 By joining a cruise, you can explore the bays and islets, such as Turtle Bay, where you’ll have an opportunity to watch green turtles hunt for food. 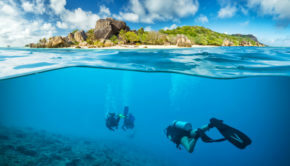 If you want to avoid crowds, you can retreat to Brush Island, an uninhabited islet where you can snorkel or just stroll along sandy beaches. 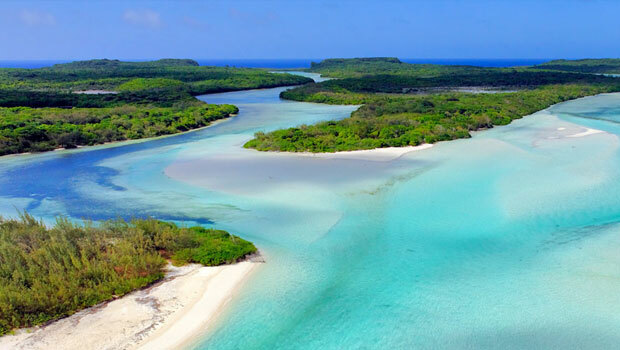 Another jewel of New Caledonia is the small island of Ouvéa where you can admire numerous natural beauties. If you decide to go there by plane, you’ll be able to see the enchanting colours of the coral reef. Once you arrive at this fairy-tale island, you’ll be awe-inspired by one of the most beautiful beaches in the world. The moment you arrive, you’ll feel as if you entered a completely different world – blue horizon stretching as far as you can see, white gentle sand between your toes and nothing but the soothing sound of waves. In the vicinity of Ouvéa, there are an even smaller island and the coral reef stretching for miles. Your extraordinary experience won’t be complete unless you dive into the turquoise water to explore the wonders of the underwater world. Swim with a flock of sardines, watch hermit crabs crawling around you, but keep an eye for sharks – they might find a flock of sardines quite a feast. You cannot visit a country without savouring some of its finest specialties, and New Caledonia certainly doesn’t lack in superb food. 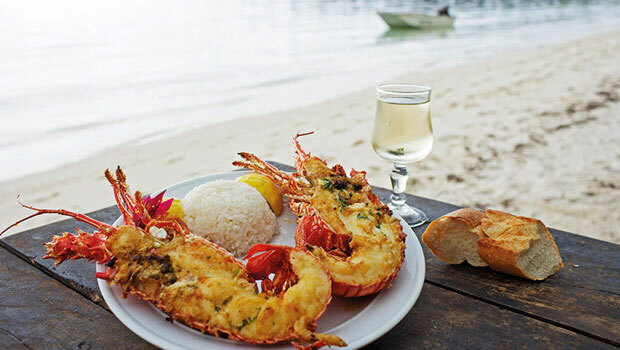 Since New Caledonia has been under the French influence since 1853, the country’s cuisine represents an extraordinary mixture of local and French tastes. However, this is a country with a diverse culture offering a variety of specialties from international cuisine, including Vietnamese, Japanese, African and Spanish, so all of your cravings will be satisfied. When it comes to authentic dishes, you shouldn’t miss the opportunity to try Bougna, a Melanesian specialty. The dish, which is served wrapped in banana leaves, is a combination of chicken and seafood, a lobster or fish with yams, served with sweet potatoes, bananas, and coconut milk. The preparation is no less enchanting than the dish itself – the food is steamed in an earth oven which is heated by hot stones. Among other specialties that should be on your to-try list are bat stew called Civet de Rousette, pastry filled with seafood and cream, and small mangrove oysters. However, for an unusual gastronomic experience, you should try “table d’hotes”, a tradition where the locals welcome you into their homes. This way, you can try the country’s authentic food and get to know the local lifestyle. Your authentic New Caledonia experience won’t be complete without visiting Noumea, the country’s capital and its largest city. What makes this city so spectacular is the fact that it features both a cosmopolitan vibe and the laidback style of the Pacific islands. 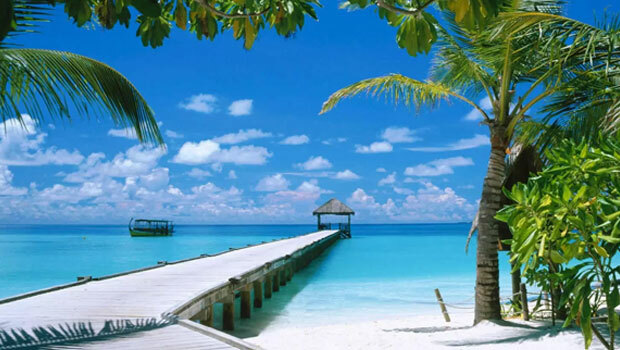 Located on the seaside, Noumea has always been one of the most popular options for New Caledonia holidays, along with the Loyalty Islands, the Isle of Pines, and others. This is the city of numerous chic restaurants, stunning bays and islets, diverse architectural and artistic culture and exciting nightlife. 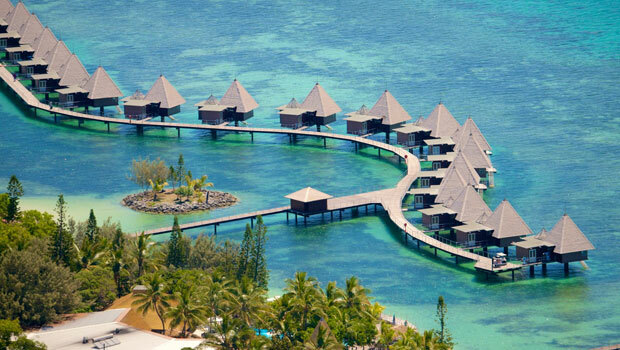 Here, you can get a taste of New Caledonian lifestyle that combines the vibrancy of metropolises and relaxation of tropical havens. New Caledonia is just waiting to be explored; so, instead of elbowing your way through the hordes of tourists in Sydney or Auckland, head to this tropical paradise for an out-of-this-world experience.